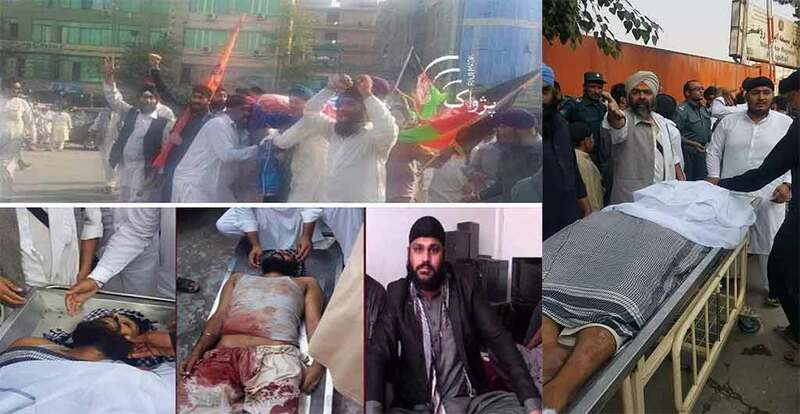 Home/Sikh News/A Young Sikh, Rawail Singh, Shot Dead in Jalalabad, Afghanistan by Fundamentalists. JALALABAD, Afghanistan—Sikhs and other minority communities living in Afghanistan are heartbroken after killing of a young Sikh named Sardar Rawail Singh. Rawail Singh shot dead yesterday in Nangarhar, near Jalalabad. Sardar Rawail Singh was son of Narain Singh, a prominent and respected member of the Sikh community. Following the incident, local Sikh families, who are few in numbers, started gathering at the house of Sardar Narain Singh. Rawat Singh from Jalalabad told Sikh24 that Rawail Singh was shot dead by people who were wearing military clothing. “These types of incidents are becoming far too common in Afghanistan. Sikhs are being killed by fundamentalists every day,” he said. There was once a sizable Sikh population in the country, however, now roughly only 5,000 Sikhs are left here. Due to increasing attacks by the Taliban and the ongoing conflict, Sikhs have been migrating out of Afghanistan. Despite being small in number, Afghanistan Sikhs have kept Sikh traditions alive in the country. Most keep their religious identity intact despite facing severe hardships. Just in the past year alone, almost 75 families migrated out of the country. While most have now settled in India, some have made Pakistan their home.